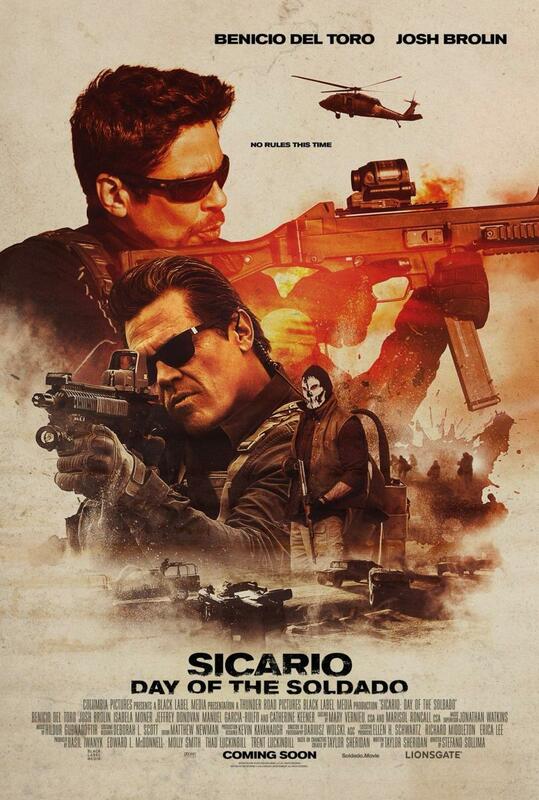 Brief Synopsis – After they suspect that Mexican drug cartels aided in smuggling terrorists across the US Border, a group of Black Op soldiers are tasked with finding a way to destroy the cartels. My Take on it – This is a sequel to the previous film about how the US government and military deal with the drug cartels. This film takes things to a new level and in some ways is even better than the original because of the way they tie together global issues and how they relate to the US-Mexican border and the connection with the drug cartels. This is a film that shows blatant realism in its plot even if it may be hard to swallow that things like this truly occur. Thy take a real life situation and try to find a solution that even if it may seem extreme could possibly be a plausible response despite the fact that the characters know that they must get their hands very dirty in the process. Overall, it may seem that the main characters have no humanity or morality, but as the story progresses, we can see glimpses of hope in the emotional decisions that some of these characters decide to take as things move along and they are given orders that don’t sit well with them. The cast is superb and both Josh Brolin and Benicio Del Toro are great here as they reprise their roles from the previous film. I’m very interested in seeing where this story can go from here. Bottom Line – Great sequel that in some ways is even better than the original because of its blatant realism even if it may be hard to swallow. This film takes a real situation and finds a way to deal with the solution even if the characters know that they must get their hands dirty. The characters may not have much morality in what they are tasked to do, but we can see bright sparks of humanity that break free when they are given orders that go against what they stand for. Brolin and Del Toro are both amazing in these roles and make the viewer interested in seeing what will happen after the events of this film. Recommended! Absolutely agree with you here. I liked the original but thought the ending fell apart. Had it been MY vision of the ending – Blunt would’ve been back in the sequel and Del Toro would not have been. This was much less convoluted and tense – it actually made my Top 25 for 2018. Glad to hear more praise for S2. It actually made my Top 10 from last year. Love it.